Ship Ahoy! Jan Bee Brown Sets Sail to Tell Stories on Ten Tall Ships, Linking Our Cultural Heritage from Coast to Coast! 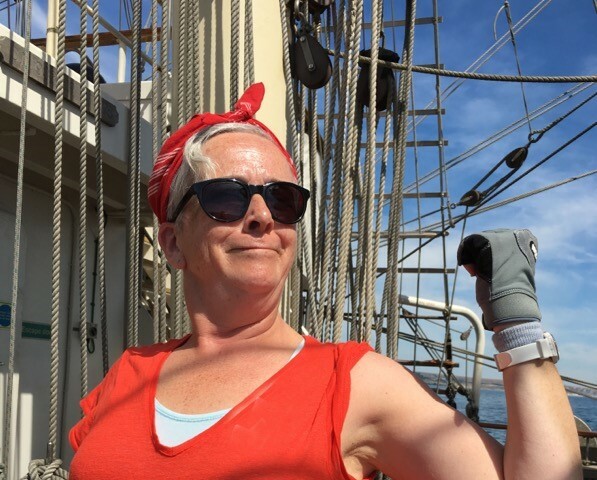 This Easter Saturday 20 April, swap your chocolate bunnies and easter eggs for some pickled herring and sailor’s yarn, as Jan Bee Brown, also known as Captain Annie, opens her treasure trove of nasty nautical tales at ‘Worse Things Happen at Sea’. If you are looking to keep your family entertained during the Easter holidays, why not combine fun with the good cause of enriching and protecting our cultural heritage, by supporting the courageous quest of story collector Jan Bee Brown. A storyteller with a close connection to water, Jan decided to embark on a journey of tenacious strength, with the mission to gather stories from across the sea, whilst tackling her fear of heights. Her journey started in 2017 on the ‘SV Tenacious’, a tall ship run by the Jubilee Sailing Trust (JST), offering different generations and people of all abilities to come together for a shared adventure at sea, contributing to the running of the ship according to one’s abilities and strength. After the initial voyage on the ‘Tenacious’, Jan decided to become a member of the volunteer crew to sail on ‘The Lord Nelson’ up the coast of Norway. On her journey she discovered that one of Norway’s well-loved poets was in fact born in Leith, the place she now considers her adoptive town. 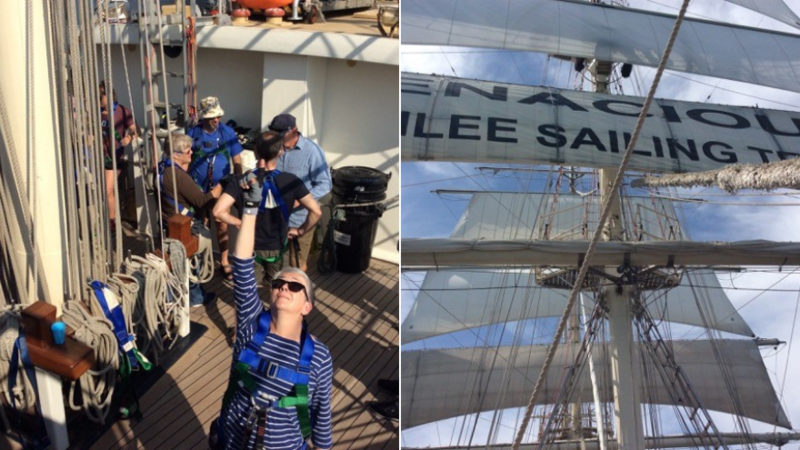 Through the research on her travels, the places she’s visited and the people she’s met, Jan came across many a nautical tale and developed her personal mission to spread the love for stories and the sea, encouraging her to bring to life the crowdfunding project ‘Telling Tales on Ten Tall Ships’. 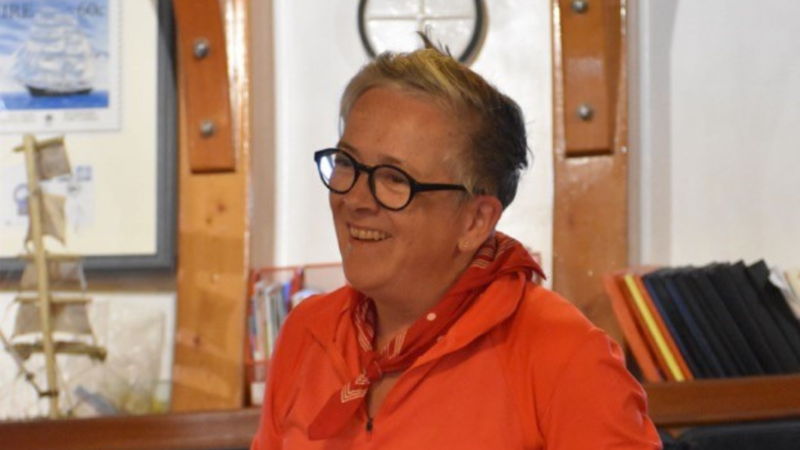 Alongside the ethos of JST, the fundraiser has enabled Jan to work with a range of youth and mixed ability groups and allowed her to share her seafaring stories with coastal communities, creating connections between different cultures and places that once shared close links. ‘Tales on Ten Tall Ships’ not only ties in with the events of the themed year, but also contributes to the research and preservation of our mutual heritage at home and beyond. 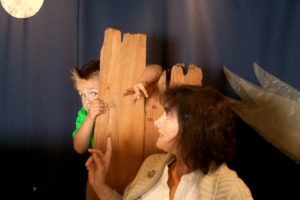 We hope that all sailors aged 6+ will join us and Captain Annie Douglas for some nautical Easter fun at the Scottish Storytelling Centre, to hear about pirates a plenty, cheeky monkeys, thoroughly rotten eggs, fermented herring and pickled ears, whilst helping to keep our shared stories of the sea afloat. 18 April 2019 Ship Ahoy! Jan Bee Brown Sets Sail to Tell Stories on Ten Tall Ships, Linking Our Cultural Heritage from Coast to Coast! ‘Canada-Scotland: Coast to Coast’ is the International Exchange for this year’s Scottish International Storytelling Festival (18-31 October). ‘Toronto is a good place from which to preview Scotland’s Storytelling Festival as there are many similarities. As in Edinburgh, there are curated performances involving guest storytellers from the host and other nations. In both countries, there are strong indigenous traditions but also great cultural diversity, which is reflected in the programmes. We are grateful for the support of the Scottish Government’s Festival Expo Fund to welcome our international guests for 2019. 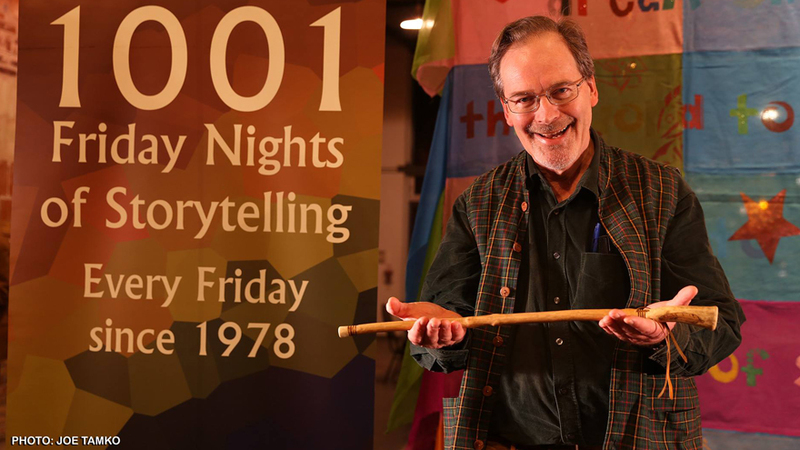 ‘Both Storytelling Festivals reach out across their cities into the communities. Toronto is a happening kind of place and it was great to see storytelling in libraries, bookshops, the First Nation Arts Centre, the Centre for Social Innovation and community locales. ‘Similarly, in Scotland, because of the new PLACE Fund, set up by Edinburgh City Council and the Scottish Government, we shall be making many more ongoing links between storytellers and communities, which we will also roll out beyond the capital with Festival on Tour and the Community Programme, including the wonderful designated Story Exchange day on Wednesday 27 November. ‘Storytelling is at its best when truly connected with people and place. This is at the core ethos of TRACS (Traditional Arts and Culture Scotland) who programme the Storytelling Festival. 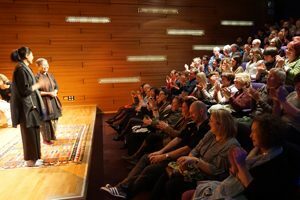 Our audience will have the benefit not only of the world’s first purpose-built Storytelling Centre in Edinburgh but a host of interesting locations across the country, evoking the tales to be told and the magic of in-situ storytelling. 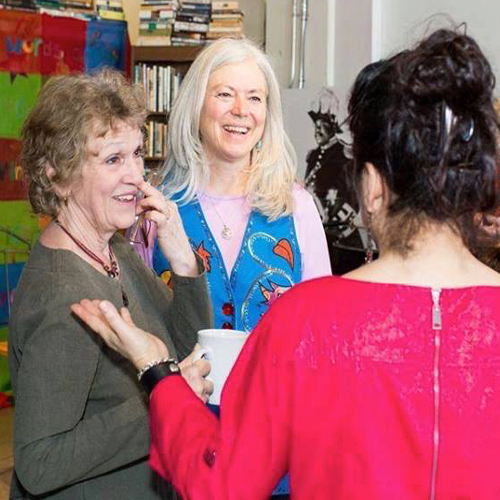 ‘If you’re interested in exploring connecting people and place in your community, register for the People and Place: Take Three workshop in June (Sat 15). ‘Aside from the telling, challenges arise from listening in to Canadian conversations. Many issues relating to First Nation or aboriginal peoples in North America remain unresolved and that has cultural effects. Also, Scotland is directly implicated in negative as well as positive aspects of relationships between settler and indigenous peoples in Canada. ‘Scottish involvement in Canada is sometimes viewed through rose-tinted glasses but in reality, we played our part in what was an extended destruction through violence, displacement and disease that killed millions of people. Moreover, the much-vaunted Highland relationships with Canada include the first Prime Minister John MacDonald (1815 – 1891) who was responsible for the now notorious Indian Act, the damaging legacy of which remains to this day. ‘One vivid instance of all this are the human remains of the Beothuk people held in the National Museum of Scotland, though hopefully soon to be returned based on the latest news. These skulls are a poignant symbol of the extinct aboriginals of Newfoundland, whose demise involved displacement, disease and at least one massacre at European hands. ‘Our National Museum has very little to say about the interactions between land hungry Scots and indigenous peoples. Fortunately, there are also positive stories of interaction – trade, alliance and marriage – to set alongside things we still need to name and shame in this UNESCO Year of Indigenous Languages. ‘Such issues and relationships will form part of SISF’s week long Global Storytelling Lab, held in conjunction with The Earth Charter Initiative. This will be a unique development opportunity for storytellers, artists and educators of all kinds. A celebration of Basque Traditional Dance in the most contemporary way possible. 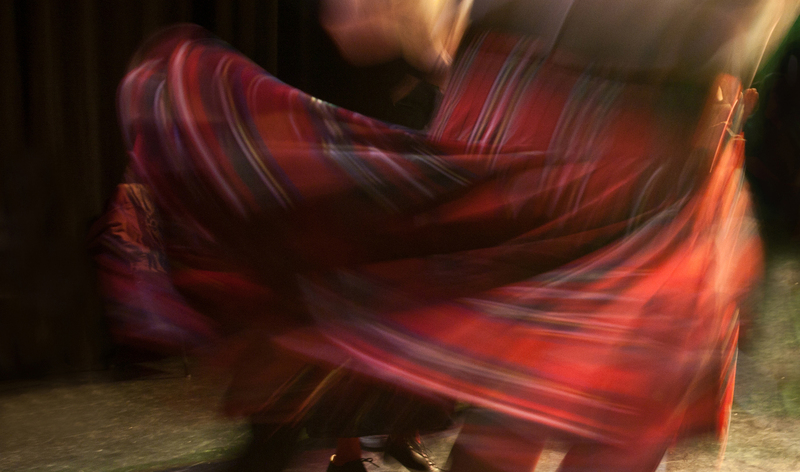 “Dantza” is a musical feature, turning on Basque dances and their ancestral symbolism. The project yokes the talents of director Telmo Esnal, artist and sculptor Koldobika Jauregui, and scholar and folklorist Juan Antonio Urbeltz. The screening will be preceded by a traditional Basque dance and music performance in collaboration with the Traditional Dance Forum of Scotland and TRACS as well as Pintxos (Basque Tapas) available in our pop-up bar. A poetic song to tradition, the land, its people, myths and customs. Celebrating a natural cycle – people’s, nature’s seasons – but looping this over several centuries, “Dantza” shows the Basque cinema not only scaling up in budget but broadening its range. Symbology which shows the hypnotic universe of traditional dance. A story about the cycle of life and death, of the struggle for survival. Where the passage of time is marked by the course of nature. And dance is the language chosen to tell. Music accompanies everyday routines; Life is Rhythm! A mini-festival of percussive dance culminating the First Footing residency including public workshops, masterclasses, work-in-progress showings, dance-for-camera showings, panels and performances with Sandy Silva, Colin Dunne and artist-in-residence Nic Gareiss. First Footing is a tailor-made residency rooted in collaboration across dance and music communities, traditional and contemporary practices. It spans traditional arts organisations, dance agencies, educational institutions and community groups to foster deeper levels of engagement, connectivity and new support for traditional dance in Scotland. 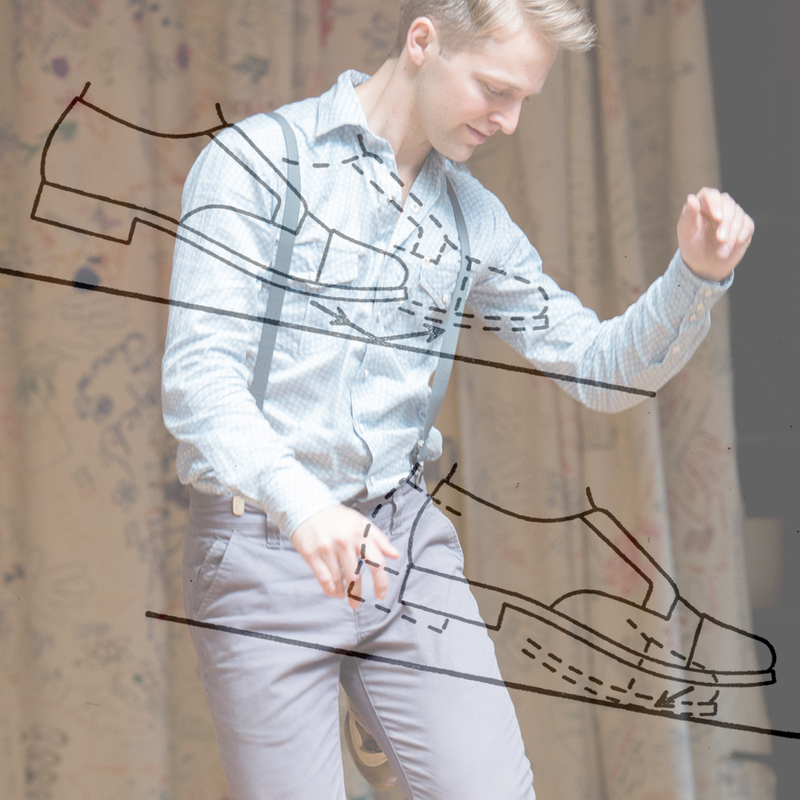 First Footing is led by the Traditional Dance Forum of Scotland in partnership with the University of Edinburgh with support from Creative Scotland. • Supporting and widening the network of RSCDS Branches and other SCD groups. The Office Manager will ensure the smooth and efficient running of the RSCDS office and enable the staff team to support the charitable and strategic aims of the RSCDS. The post holder will work closely with the Board of Trustees, helping to implement the business plan, updating and developing policy and influencing the future direction of the Society. The Office Manager will lead staff in providing high quality service to RSCDS members and branches, and in representing the Society to the public. This will involve spending time at the RSCDS Summer School in St. Andrews and the Annual Conference in Perth. 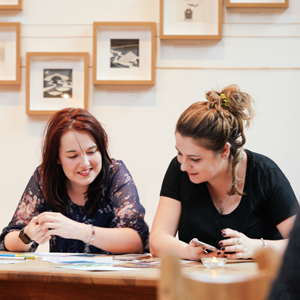 You will be a strong team leader who brings a calm and mature approach to team management. 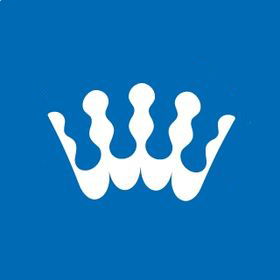 To be successful in this post you will bring excellent organisational and communication skills as well as experience in working directly with committee structures and membership organisations. You’ll enjoy building relationships and inspiring others to succeed. If you think this is a perfect match for your values and skills set then please contact recruitment@brucetaitassociates.com as soon as possible for further information prior to making your application. for contemporary times, from May Day to Midsummer. April springs into action with events celebrating new life and nature, with storytelling for all ages. Jan Bee Brown shares nautical stories, visiting Norwegian troupe Story Squad share the traditional folktale and transformation story of White Bear King Valemon, and storyteller Lea Taylor brings tales from her new book – Animals, Beasties and Monsters of Scotland – to life for a wild afternoon, including making your own beastie to take home, ensuring inspiration and fun for everyone across the Easter holidays. 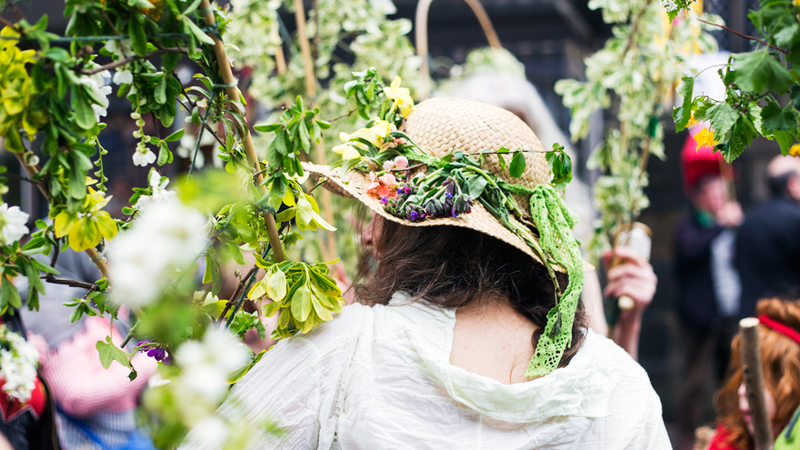 Beltane or May Day marks the traditional move to outdoor life as the days get longer and brighter. You can join the troupe of musicians and mummers weekly for practice ahead of the May Day Procession on Saturday 4 May, after celebrating the return of Edinburgh’s Tradfest, with a host of events at the Centre, from young collective Gnoss making waves in the scene and popular Family Beltane and Family Ceilidh sessions, to centenary celebrations of folk legends Pete Seeger and Hamish Henderson. The Centre backdrops these events with a stunning exhibition of Douglas Scott photography, capturing Scotland’s monoliths, while storyteller Stuart McHardy reveals the folklore legends behind the structures at The Stones of the Ancestors. There’s further food for thought at a quartet of In Conversation afternoon sessions, and The Mythology Sessions which explore ancient myths continuing influences in story and music. The Centre is delighted to host Gala Week Stories in association with Luminate and the Scottish Mental Health Arts Festival, which highlights a social history tradition where community took centre stage and brought young and old together, as bunting was proudly displayed as floats and parades travelled along the main street with music, fancy dress and garlands amidst the coronation ceremony of the May Queen. 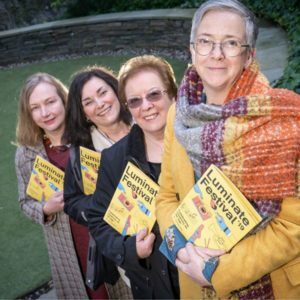 Bea Ferguson, Jane Mather, Lea Taylor and Jan Bee Brown will reminisce on these traditions with personal stories accompanied by crafts, tea and cake. June sees the finale of the First Footing Residency with talks, masterclasses and performances from top traditional dancers Nic Gareiss, Sandy Silva and Colin Dunne, and nature is still in focus with The Seven Hills of Edinburgh and Tirumala exhibition, with Café Voices sharing the stories, as well as the opportunity to enjoy stories in situ, as Donald Smith leads an evening storytelling walk of Arthur’s Seat. We can’t wait for the second instalment of new quarterly showcase, Storytelling True Facts. June’s session is exploring inventions in the run up to the 50th anniversary of man landing on the moon. From paper inventor Cai Lun to world wide web originator Tim Berners-Lee, enjoy tales of discoveries and facts that make you go wow! 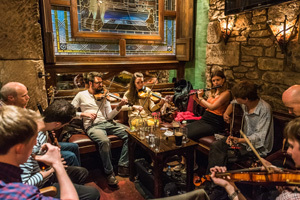 Don’t forget, monthly regular sessions are great opportunities to dip your toes into trad and see how welcoming and rewarding they can be, with Café Voices, Café Ceilidh and Bal Folk in our spacious Court, and upstairs at The Waverley Bar for Guid Crack Storytelling Sessions and The World’s Room. with your own creativity & get involved. 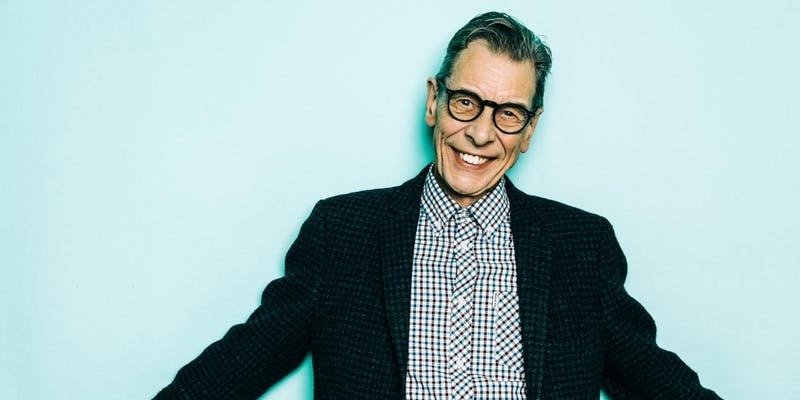 On the 24th of April, Rab Noakes headlines Sundown Song Nights at the Glad Cafe. It is no exaggeration to call Rab Noakes a legend. I first saw him perform live at the ceilidh place in Ullapool when I was a teenager and was blown away and inspired by his stage presence. In 2018 Noakes marked 50 years of professional performance and released an album, the celebratory ‘Welcome to Anniversaryville’. • ‘Sundown Song Nights’ is a series of concerts that explores how broad the term ‘folk song’ is. Do you believe that ‘folk’ is a broad term? • You’ll be performing a solo set for us. How does your approach to song change when performing solo, as opposed to with a band? When it’s with a band I tend to set the pace/tone with my performance. As arrangements develop in rehearsal I will engage in musical dialogue and adjust to become more part of the whole sound rather than a solo artist with a backing band. As with the solo shows, the key part is its stage-craft. Sequencing and the shape of the show are where the extraordinary efforts reside. The music and songs should be never less than good as well as possess the potential to be exceptional. If you’re not capable of that you should be doing something else. I have had times when I’ve stolen the show. These instances are not accidental. • What type of music was in your house when you were growing up? My mum sang a range of songs, as she went about the day, including such highlights as Lady Nairne’s ‘Rowan Tree’ and pop songs of the times (early 1950s). At that time the radio was the main source. Highlights for me are things like ‘Allentown Jail’ by Jo Stafford and the hits of Guy Mitchell on the BBC Light Programme alongside ‘A Gordon for me’ and ‘Westering home’ by Robert Wilson on the Scottish Home Service. Other songs that impressed me were the likes of ‘The Ugly Duckling’ by Danny Kaye from the Hans Christian Andersen film. I sang all the time from the time I was 4 or 5 years old. I simply fell for the song as an artefact and consider it to be the greatest of all artforms. • The Glad Cafe is a really lovely venue in the Southside of Glasgow. How has the musical landscape of Glasgow changed throughout your career? I first came to work in Glasgow in 1963 when the main music events were the Package Tours at The Odeon Cinema. I attended every one from Oct 1963 to February 1965. I went to the Mod clubs long before Bob Dylan bounced my generation into an appreciation of folksong. The key folksong establishment was The Glasgow Folk Centre in Montrose Street. You only need to look at a custom listings publication to see what it’s like now. • At the beginning of your career and releases you seemed particularly focused on performing your own songs, and as time passed you began to engage with a wider variety of source material for your songs. How do you feel traditional music has influenced your career? I don’t consider my activities as amounting to as ‘career’. This is what I do, and have always done since, like I said, I was about 5 years old. My first public performances were songs like ‘Westering home’, ‘A pair o’ Nicky Tam’s and’ Mary’s boy child’ (from the Harry Belafonte hit record). 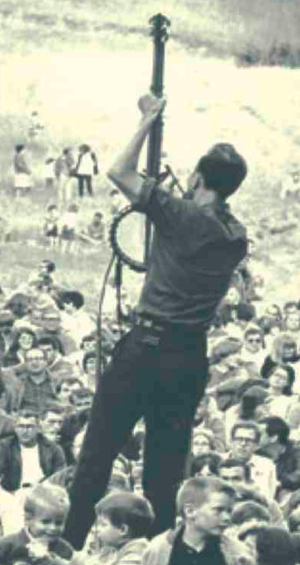 I engaged with folksong in the 1960s and was engaged by the depth and beauty of many of these songs. In the main they will have a presence in my work but not a terribly detectable one, outwith the few which are deliberately designed to. From there I engaged deeply with the music of the 1920s in terms of the Blues, the early murmurings of Country Music, jug bands, Minstrelsy et al. • What effect do you think Scottish songwriters have had on folk and traditional music? I can’t detect a songwriter affecting traditional music since Robert Burns. This slips outwith my sphere. I think that question needs to be answered by purveyors of Traditional or Trad Music in the 21st century who can articulate a perception of what’s informed them. • You have been involved in some mighty collaborations, working with the ‘Grit’ Orchestra, Barbara Dickson and Kathleen MacInnes to name a few. Have these experiences impacted your songwriting or solo set in any way? Grit was a tremendous thing to be part of. It was more a professional musician role in that I was working to a prescribed part in Greg Lawson’s exceptional work which was, of course, based in Martyn Bennett’s exceptional work. A key factor, and from me was the fact I was the older person there who had actually met and spent time in the company of the ‘source singers’. My key part was the Jimmy MacBeath ‘MacPherson’s rant’ cut-up. I get a lot out of collaborations as I can engage in a different space regarding musicianship. They produce something that wouldn’t occur otherwise. The two you cite have singular characters. I’ve known, and have sung with, Barbara since 1965 and that’s at the heart of what we do, and how we do it. Kathleen and I were enjoined by Ceol’s Craic and, when we work together, we have a wonderful time exploring and responding to each other’s abilities. The Gaelic element is a valuable thing. Singing with her is a real ‘voyage of discovery’ for me. I’m always up for attempting to write something to order for such events and have occasionally managed to do so. • As senior department head of music programmes for BBC Radio Scotland, you had the opportunity to showcase any style of song available. With an ear tuned to every style of songwriting in modern music history, what made particular songs stand out? My Senior Producer was Stewart Cruickshank. Between us, and our great staff and presenters, we constructed 70 hours of output a week featuring everything from SDM in ‘Take the Floor’ to sharp new pop in ‘Rock on Scotland’ and all stops in between. The point was not to have things stand out but to fully reflect Scotland’s creative activity in the world of music’n’song and serve the audience as comprehensively as we could. • You are a very versatile musician. Throughout your career you have engaged with not only a wealth of original songs, but also genre-crossing covers and traditional songs. Your style would be difficult to pin down in only one word. Do you think artists can get caught up trying to fit within the bounds of one genre? The bedrock of what I do is the professionally-composed pop songs of 1958-1961. All I’d absorbed to that point came to mean something in that era. I don’t do ‘covers’, I engage in interpretation. My guiding light is Buddy Holly who, although best regarded as an accomplished songwriter, never ever shied away from singing something good that suited him wherever it came from. Nowadays, everyone’s called a singer-songwriter and the art of interpretation has been devalued. That’s a loss and, frankly, in many cases has substituted the richness of professional songwriting with a means of self-expression. Thank you so much Rab for taking the time to answer these questions! I can’t wait to hear more from you on the 24th! Opening up the night will be Hebridean songstress Ceitlin Lilidh (Ceitlin LR Smith). Ceitlin’s stunning vocals can be heard performing regularly with SIAN and Niteworks. 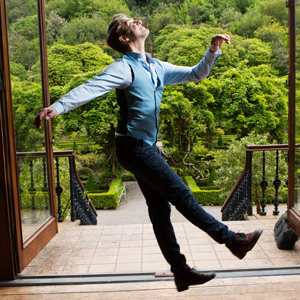 Ceitlin has a wealth of experience performing all over the world as an ambassador to Gaelic song. The contrast between the two incredible performers is sure to make for a memorable, unique and beautiful night of song. This residency provides artists with an opportunity to undertake creative exploration rooted in, or influenced by, traditional Scottish dance and culture. 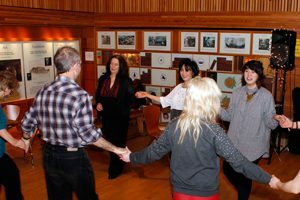 The Traditional Dance Forum of Scotland and Dance Base have come together on this because we know that traditional artists are interested in exploring their creative practice, and vice versa, contemporary artists are enthused to explore Scottish tradition. We believe tradition is an ever-changing and evolving thing and this residency aims to help make this evolution happen. Residencies will be held at Dance Base between Monday 9 September and Friday 6 December 2019. Residencies will be Monday to Friday, 9am – 5pm daily. 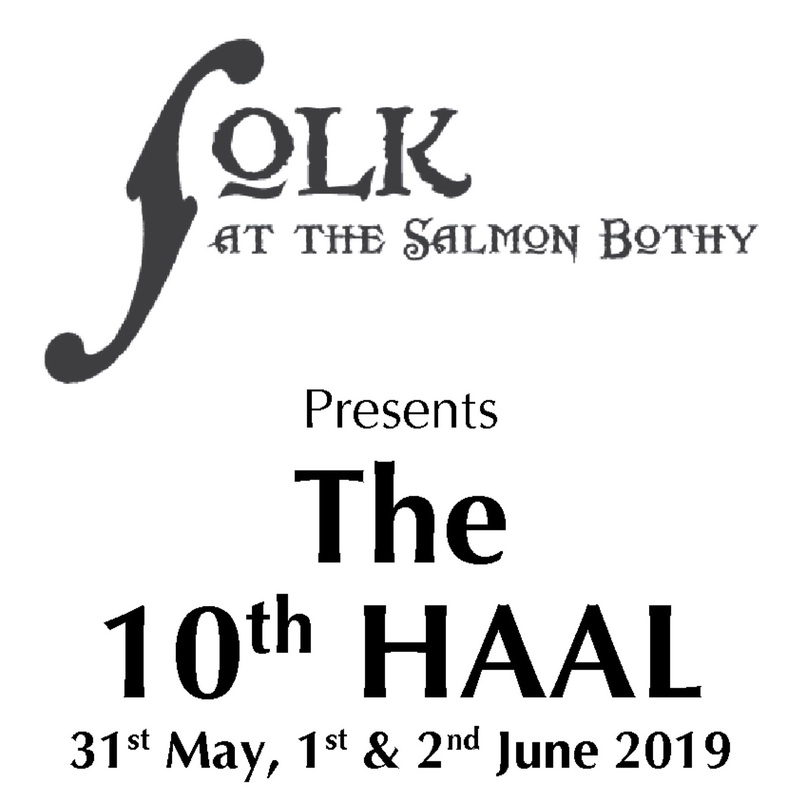 The selected artist(s) will hold an open company class on Tuesday from 10am to 11.30am and on Friday at 4pm will hold an open sharing for the local community in order to continue to develop an audience and understanding in traditional Scottish performance practice. There is a fee of £600. To apply please download the application form below, and return to Helen McIntosh (Programmes Manager) at helen@dancebase.co.uk, along with CVs of those participating in the residency, where possible. The application deadline is 5pm on Monday 22 April 2019. Applications will be reviewed by Dance Base Artistic Director, Morag Deyes and Traditional Dance Network Co-ordinator, Michelle Brady. 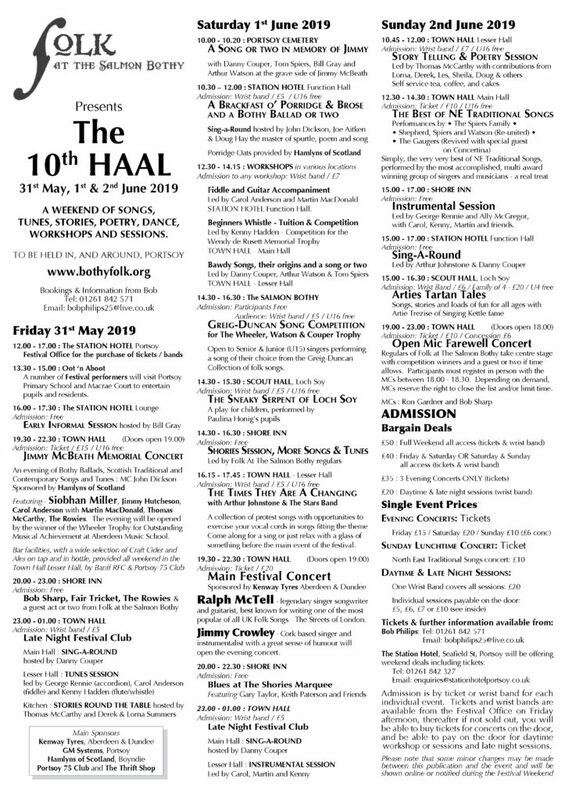 The 10th HAAL – 31st May, 1st & 2nd June 2019 – Programme out now!